Get everything you need to make your seating space more comfortable and functional with this Talia Conversation Sectional Sofa with Built-in Table. The sofa features a four-over-four seating design with armless sides and single button tufting on each back cushion. There is a round, attached table on one side. With its sleek, curved shape and button-tufted back, the HOMES Inside + Out Sofa is a beautiful modern furnishing that can dress up any boring living room. The seating solution comes with two large, wide bench seats that offer plenty of room to sit with the family. Sleek and luxurious, the Contemporary Leather Curved Open-Chaise Sectional Sofa adds a modern, regal feel to any living space in which it is placed. 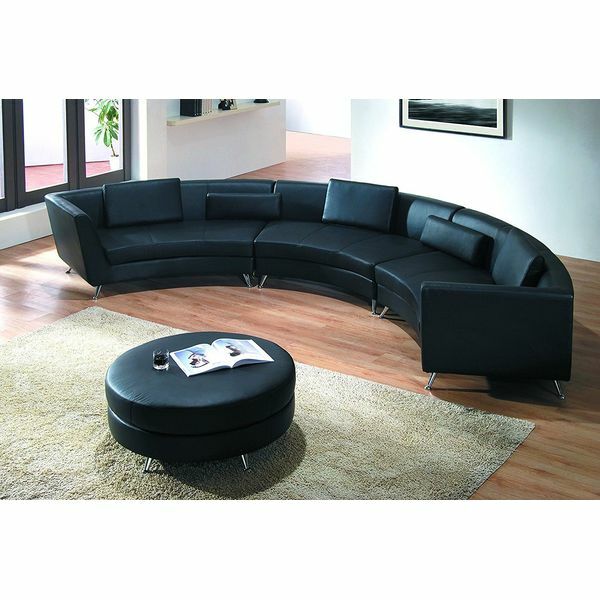 The sofa features a curved design with one arm attached to the back. The other end of the sofa turns into a chaise lounge to allow you to relax in the way you choose. In stock in NJ warehouse. Ships within 4-5 days. 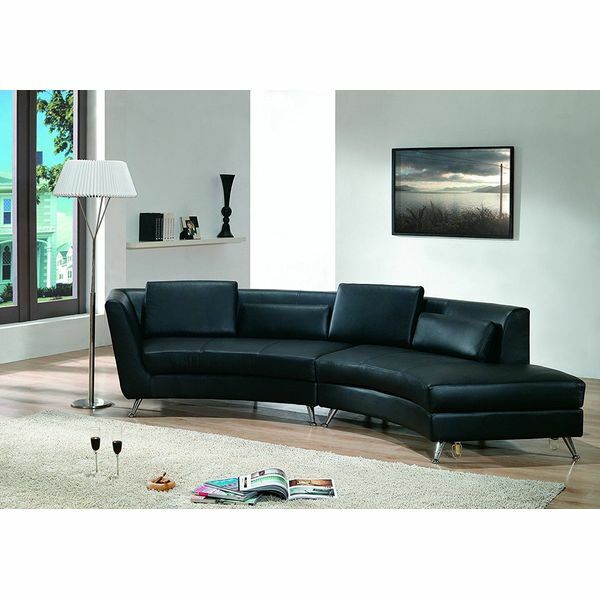 Add some modern appeal to your living space with this Global Furniture Bonded Leather Sectional Sofa. The sofa features a slight curve that supports the tufted back cushions as well as the tight bench seats. Every visible inch of the sofa is covered in bonded leather. 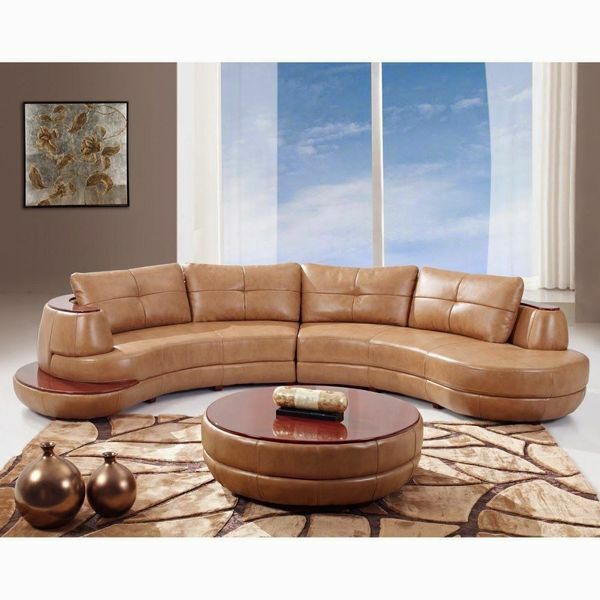 Give your living space more seating and twice the style with this Contemporary Leather Curved Sectional Sofa with Ottoman. The sofa features a crescent moon shape that has plenty of seating for the entire family. 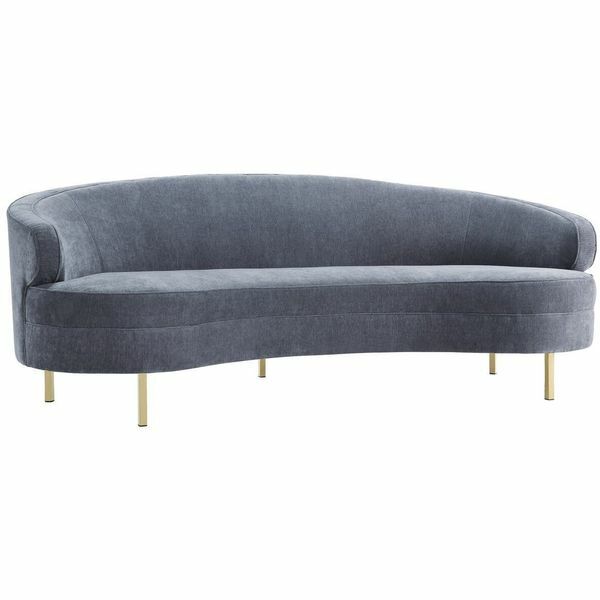 Included with the sofa is a rounded ottoman that sits on metal feet. Add the timeless luxury of velvet to your space with the inclusion of The Baila Collection Modern Style Living Room Velvet Upholstery Curved Sofa. The sofa features a tight back and seat cushion, both of which are seamless to give the design a smoother look. The frame of the sofa sits on golden-toned metal legs.